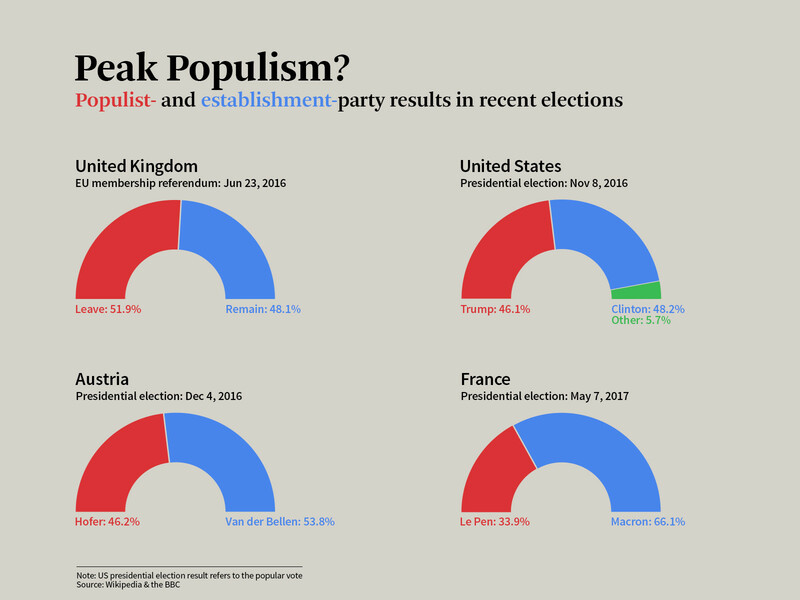 Since then, however, populist movements have been turned back in Austria , the Netherlands and France . German Chancellor Angela Merkel looks likely to win her fourth term as chancellor in national elections this September. And with a young, energetic, pro-EU French president now in the Élysée Palace, some are predicting that the bloc is actually poised for a comeback .